Mount Teide on Tenerife Island. 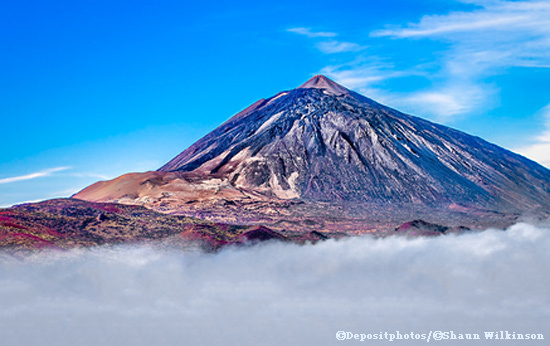 It is volcano and the highest point in Canary Islands and in Spain. On the photo is shown the top of the volcano above the clouds. The Canary Islands are a place suitable for holidays all year round. It is popular tourist destination in Europe.